TENA Lady Maxi Night with Lie Down Protection gives the individual TRIPLE PROTECTION from leaks, odour and moisture. 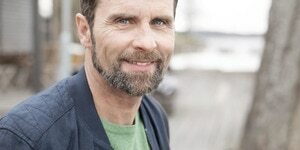 With extra length and width at the back for extra coverage and security. 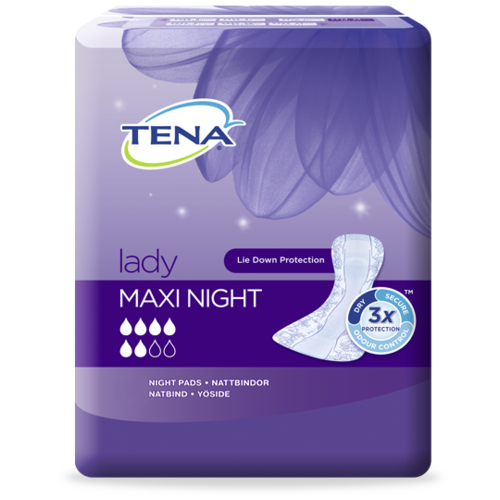 TENA Lady Maxi Night is specifically designed to give the individual good night’s sleep. 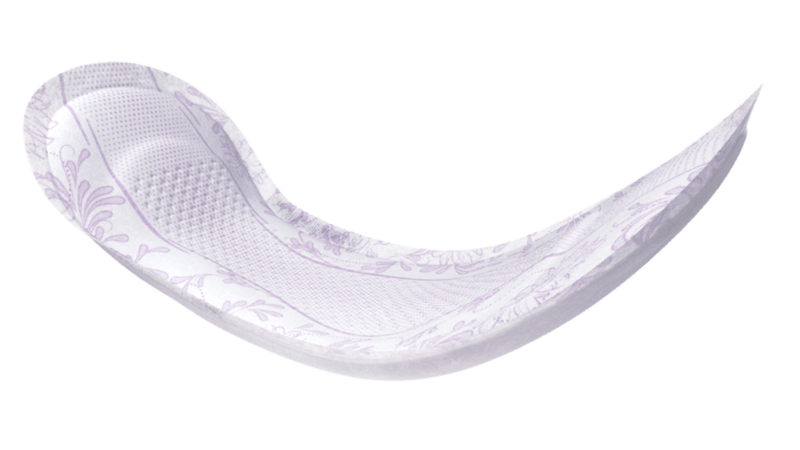 TENA Lady Maxi Night with Lie Down Protection offers superior night time protection. 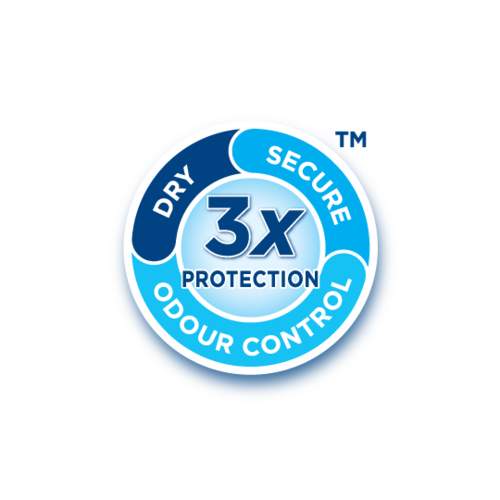 The extra length and width at the back for extra coverage prevents leaks when the individual is lying down and provides security and confidence all night long. TENA Lady pads have Fresh Odour Control with active micro-fresh pearls to reduce the development of odour. 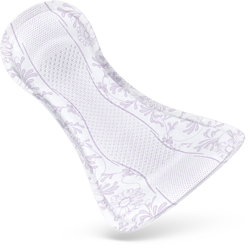 TENA Lady offers discretion while providing comfort and dignity. TENA Lady not only offers protection, but comfort and discretion as well. The TENA Lady pads are body shaped, designed so that the individual feels at ease wearing protection. Silky Soft Surface is designed with a smooth, gentle textile-like surface that instantly whisks away any moisture, leaving the individual dry and promoting good skin health. 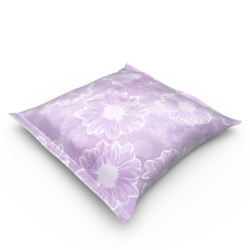 Every TENA Lady pad is individually wrapped which means that they can be carried discretely and conveniently disposed of. 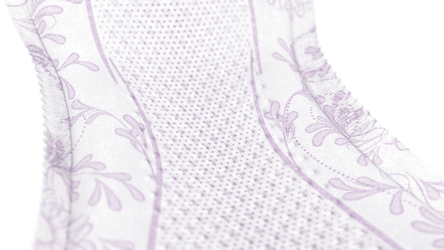 The soft side elastics help the TENA Lady pad to follow the contours of the body, providing the individual with additional leakage protection and added comfort.